It was a busy weekend for ZM Wrestling. The varsity competed in the tough Minnesota Christmas Tournament finishing 17th out of 39 teams. Caden Steffen (2nd), Michael Majerus (5th), Jacob Bennett (5th), and Jarrett Haglund (6th) all reached the podium. The JH/JV got up extra early and traveled to Caledonia on Saturday. Several wrestlers were able to earn the top prize in their bracket. 18 youth wrestlers competed in Goodhue on Saturday. Coach Lexvold was very impressed with the toughness and performance of our little wrestlers in the first tournament of the year for many. Thursday, December 21 will be the Cougars first home dual meet in Mazeppa against Lake City. The 5002 Club will be recognized between the JV and varsity duals. The ZM Wrestling Booster Club is looking for volunteers to work concessions during our home high school matches. If you can lend a hand, please sign-up here. We need 1 more volunteer for Thursday night. Thanks in advance! Youth parents- a reminder to pick up your t-shirts, singlets, and/or warm-ups at practice Monday if you didn’t last week. 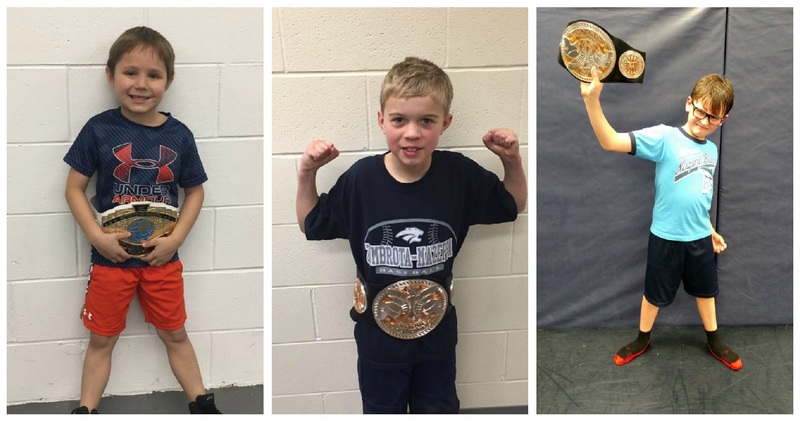 Our week #1 youth Wrestlers of the Week (WOTW) are Austin Garcia, Tayte Lexvold, and Wilson Nordquist. Austin is a kindergartner and son of Antonio and Amber. Tayte is in 2nd grade, son of Craig and Diane. Wilson is in 5th grade, son of Luke and Pattie. Wrestlers who made the News-Record this week for their work inside the classroom include: Colton Stevenson (Student of the Month), Creston Grobe (PAW Award), and Jacoby Brown (PAW Award). Finally, Sammy Moore was in the latest edition of USA Wrestler magazine in the Photo Contest. Congrats to all our wrestlers! Thursday- Youth open mat practice at 6:00 PM. LC @ Home. 5002 Club introduced.